Bonsai is a fascinating form of Japanese art that both of my parents were fond of for many years, naturally leading me to a newly discovered interest in the art form. I purchased a Serissa bonsai tree from the 47th Annual Bonsai Exhibit held at the San Jose Buddhist Church Betsuin on April 14th, 2018. 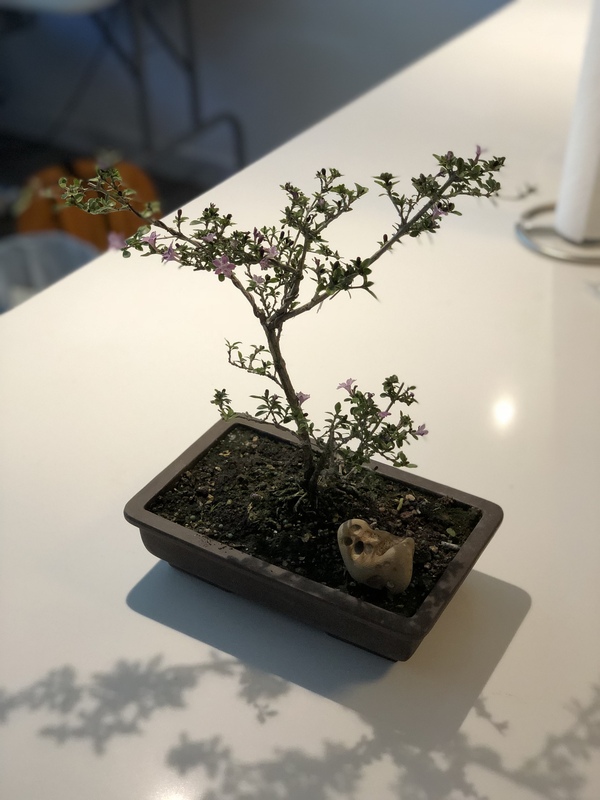 Below is a photo of my Serissa bonsai tree.